Qatar. 2012. Doha. 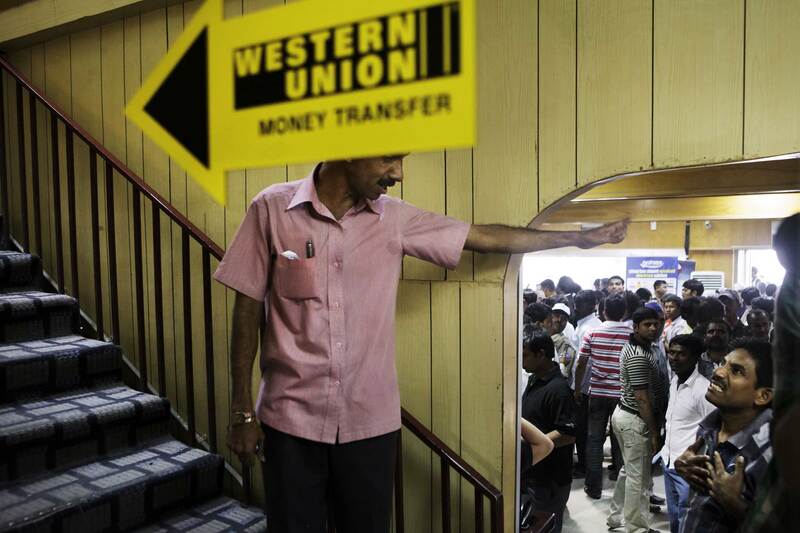 South Asian laborers gather at a Western Union to send money back home after pay day. The successful workers are able to send $50-$150 home each month, but many find that they are not able to make enough profits to save and send money.